The distribution of promotional ﬂyers is a great way of to stand out. Have your own ﬂyers printed or ask our graphic studio for help to create eﬀective media in line with your business. 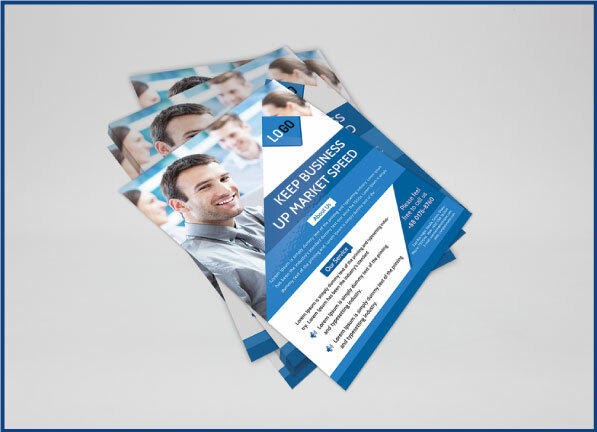 Economic and small enough to be practical, ﬂyers have many uses and are suitable for many types of communication: Door-to-door, handing-out, give away in a bag or on a stand, etc. You can choose from a wide range of paper weights. Different finishes (lamination), with or without gloss, and a large number of cut-outs are available to make your flyer a formidable promotional tool. Paper weight ranging from 115g to 350g. All formats available: A6, A5, US Format, etc. During printing your flyers can be customized and numbered. The data provided on ﬁle can be thoroughly individualised. Using this option you can target your texts and pictures to the recipient, as well as adding several sets of numbers in various parts of the print-out. A question or a speciﬁc request? Do you need help with a project? Our graphic studio meets all your needs. Let us know your wishes and we will provide you with a solution. Contact our printing studio. Our team will answer you promptly ! Do you need any help or advice ? Call us, we remain at your disposal. Media Process, a FSC certified printing company !